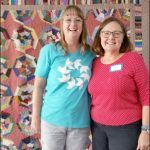 This past week I was in Duluth, Minnesota at a reunion retreat with women I met at last year’s Bonnie Hunter retreat in Oelwein, IA. This was the longest time I’ve ever been on a retreat and I’m happy to say I made nice progress on a number of projects. 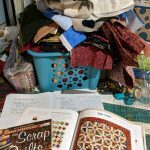 I want to continue working on these projects to get them out of my sewing room. A couple will be my Week 38 goals. 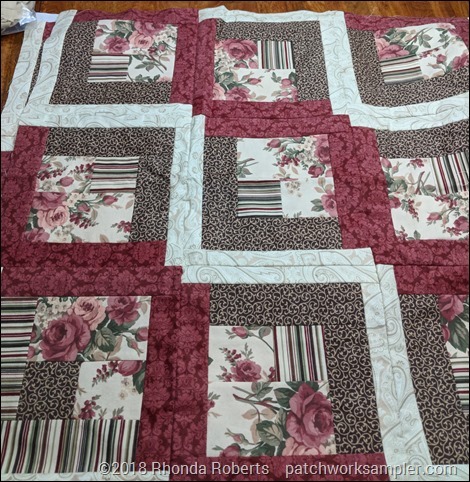 For me it works best to precut projects and work on piecing blocks and simple tops. With all the chatter and interruptions that occur I need things that require a minimum of concentration! So here is what I accomplished last week. First, there are 48 Pinata blocks. 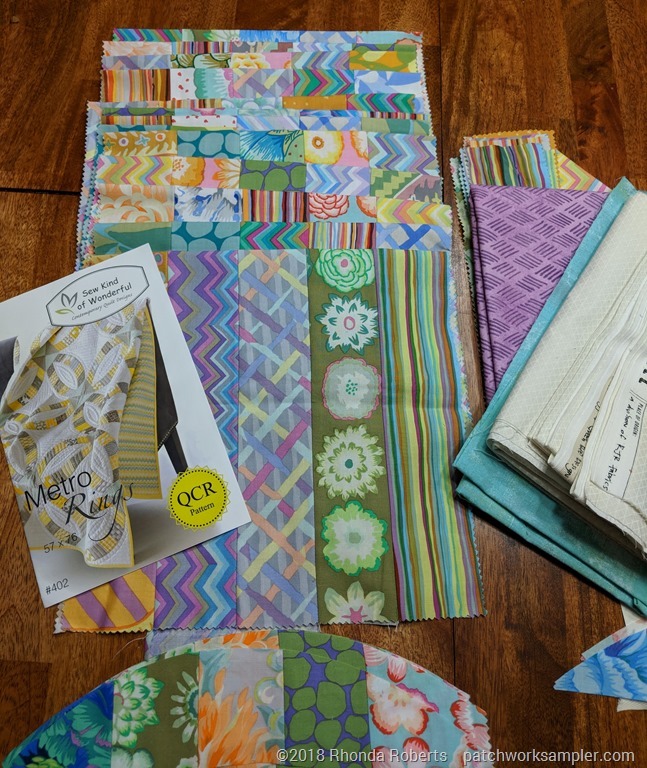 Somehow I acquired a couple of coordinating fat quarter bundles that I’m not crazy about. 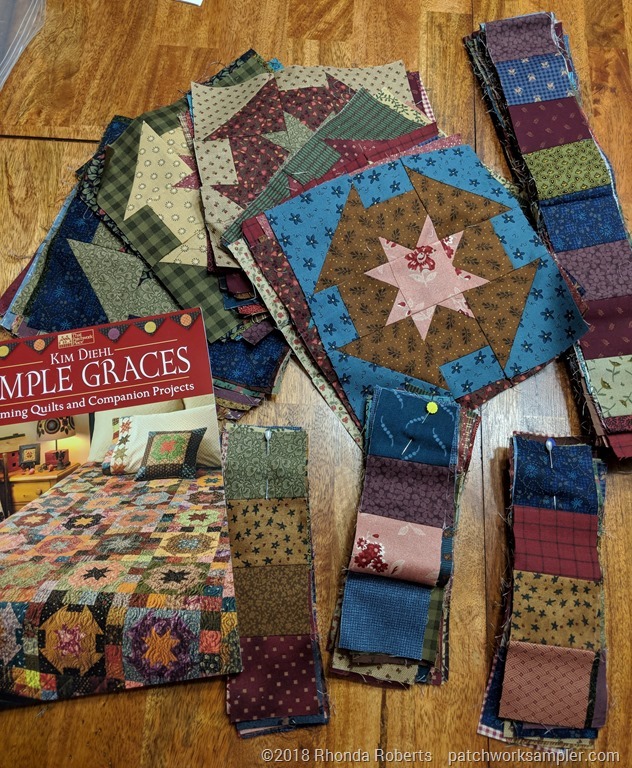 I combined them and will get three of these quilts from them. Right now, they look like an ocean of bright blue fabric, but I think it will end up looking okay. I like this Villa Rosa pattern. The blocks are super simple to piece and big prints will cut up small enough to look okay. Next, I pieced this Christmas Rose top. It is a simple nine patch quilt that uses different backgrounds to get a barn raising effect. Once it’s quilted, I’ll show the whole quilt even though I’m not sure the fabrics work very well together. Then I pieced this flannel top. It is a log cabin variation that went together really fast. Again, I’ll get a better picture when it’s finished. 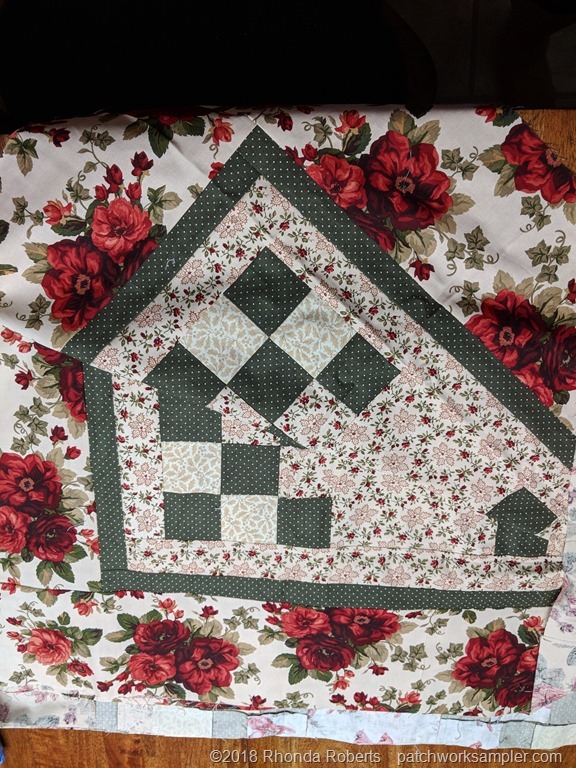 Both this quilt and the Christmas rose were made from fabric bundles I purchased several years ago at a show. 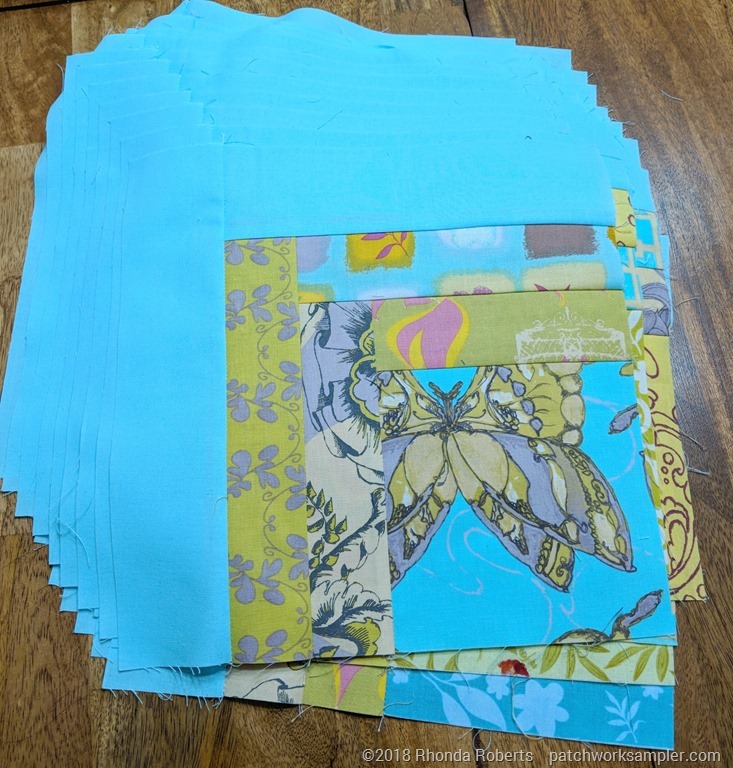 I am really trying to use up some older stash and declutter my sewing room. It is nice to finally use these. 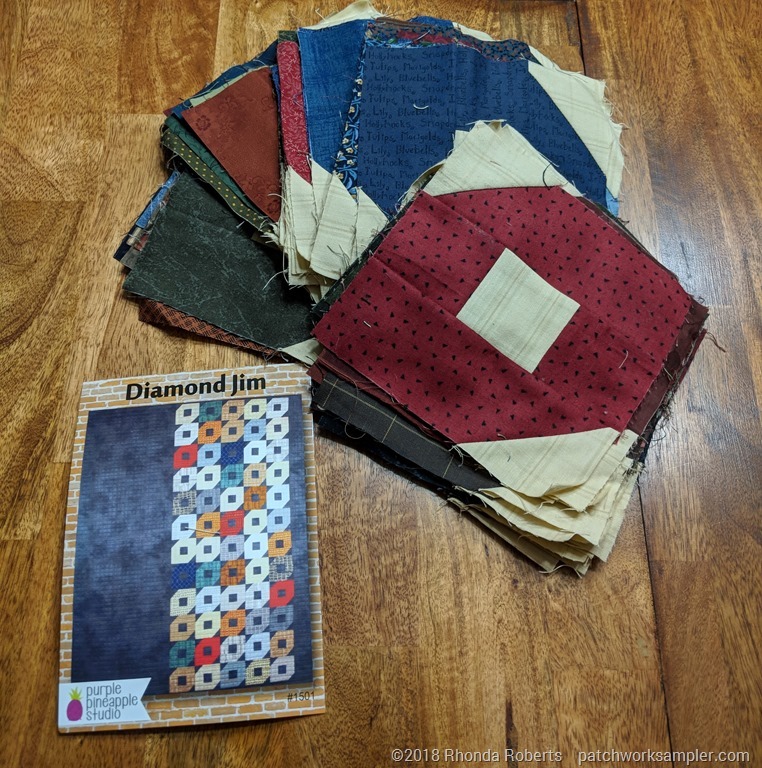 After that I pieced all the blocks for my Diamond Jim top. This is a modern quilt, but I’m using scraps from my stash for mine. 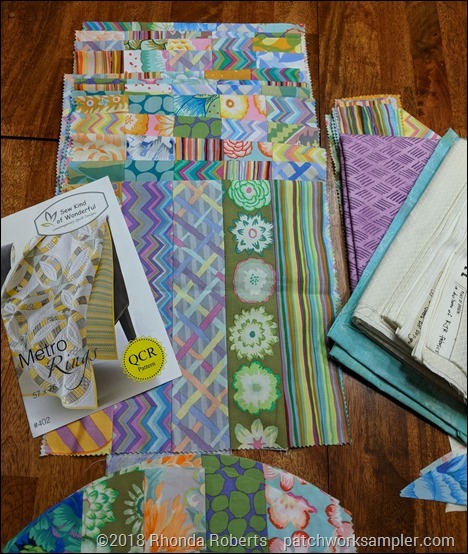 I also pieced the strip sets for Metro Rings. This fabric has been in a project bag for quite some time. All the strip sets are sewn and I started cutting the rings, but it was taking more space than I had at retreat. It will be easier to cut and keep things organized at home. Even though I didn’t get very far, I’m still pleased with the progress. I also made all the blocks and sashing units for Pie In the Sky. This was by far the most time consuming of my projects. I cut everything from the scrap bin on my cutting table last month. There wasn’t a design wall big enough to lay this out so I put it back in the bag and will piece the top at home. I’m not sure if that looks like I accomplished a lot or only a little during the week. It’s probably more than I would have done at home since I I had way more sewing time than usual. We took some side trips for shop hopping and hiking during the week so it wasn’t all sewing. It was a great week and I can’t wait for our next retreat in April. 2. Quilt the Christmas Rose top. We’re going to Chicago later in the week for a Cubs/White Sox game and I’ll want binding for the car ride. 3. 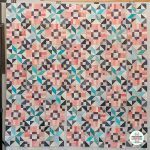 Finish sashing the Tula Pink City Sampler blocks. The #100days100blocks challenge goes through October 14, but my blocks are finished. It will still take A LOT of sewing to get the top pieced. Once all the blocks are sashed though, I can arrange them and start piecing the top. I’m linking up to these sites. 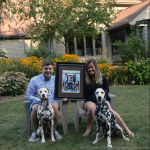 Check them out if you need a little Monday inspiration. You have so many great projects in the works. Thanks for sharing with Oh Scrap! Holy moly! Sparks must have been flying from your machine! 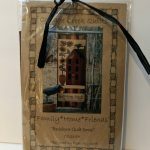 Great projects … love ‘em all!